CNN president Jeff Zucker announced that the network will collaborate with Academy Award®-winning directors Alex Gibney (Taxi to the Dark Side) and Robert Redford (ORDINARY PEOPLE) on an eight-part original series, DEATH ROW STORIES. Academy Award®-winning actress Susan Sarandon (DEAD MAN WALKING) will narrate. 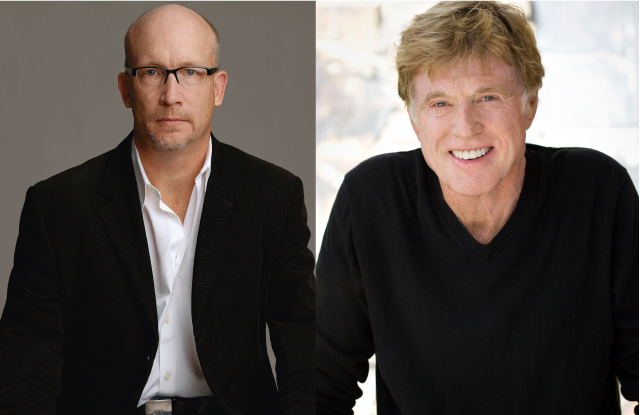 Robert Redford and Laura Michalchyshyn are executive producers for Sundance Productions and Alex Gibney, Dave Snyder, Stacey Offman, and Brad Hebert are executive producers for Jigsaw Productions. Each episode of DEATH ROW STORIES will unravel a different capital murder case that has twists and turns worthy of a crime thriller. All of these stories are true, and call into question the myriad of beliefs about the death penalty and the American justice system itself. Susan Sarandon, whose Oscar honor was awarded for her powerfully moving portrayal of the Louisiana-based Catholic nun Sister Helen Prejean, who ministers to death row inmates and advocates for the abolition of capital punishment, will narrate each episode in the series. The first episode of DEATH ROW STORIES will debut on Sunday, Mar. 9, and explores how Edward Lee Elmore, a 23-year-old African-American handyman, was charged with the murder of a well-to-do white woman in Greenwood, S.C., in 1982. The jury spent less than three hours deliberating before finding Elmore guilty of capital murder. It was not until a legal intern named Diana Holt investigated his case for the defense team that startling new evidence of his innocence began to emerge. The episode follows Holt and Elmore as the defense team embarks on a roller coaster ride through the criminal justice system, discovering negligence and cover-ups all along the way. This is the second partnership between CNN and Sundance Productions. The first is CHICAGOLAND, an eight-part series exploring the people and politics of this quintessential American city, produced in partnership with BCTV. CNN is also in partnership with Jigsaw on a movie for CNN Films, the network’s film unit specializing in feature-length documentaries. Jigsaw Productions is home to director Alex Gibney, one of the most important and prolific documentary filmmakers working today. As such, the company has produced some of the most acclaimed documentary films in recent years, including the Academy Award®-winning TAXI TO THE DARK SIDE, the Academy Award®-nominated ENRON: THE SMARTEST GUYS IN THE ROOM, the multiple Emmy® Award-winning MEA MAXIMA CULPA: SILENCE IN THE HOUSE OF GOD, and Showtime’s Emmy®-winning HISTORY OF THE EAGLES. The Sundance-premiering WE STEAL SECRETS: THE STORY OF WIKILEAKS, and Gibney’s explosive film about Lance Armstrong’s long fall from grace, THE ARMSTRONG LIE, have both received “Best Documentary” nominations at this year’s BAFTA Awards.